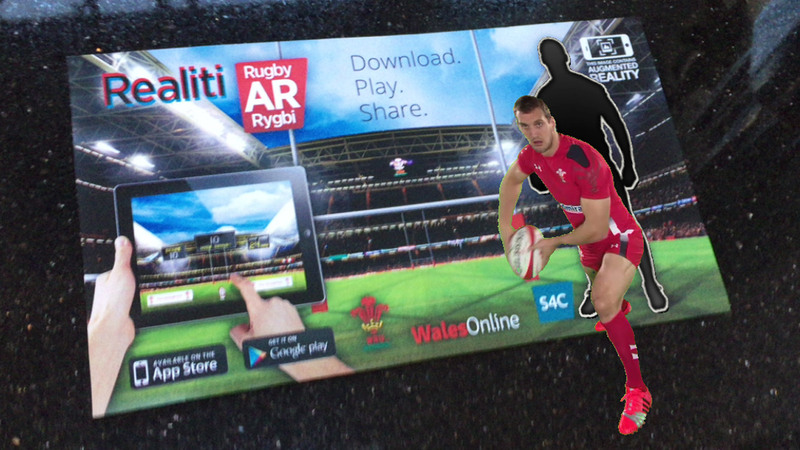 Working with S4C television and the Welsh Rugby Union, we conceived, designed and developed an AR rugby mini game. 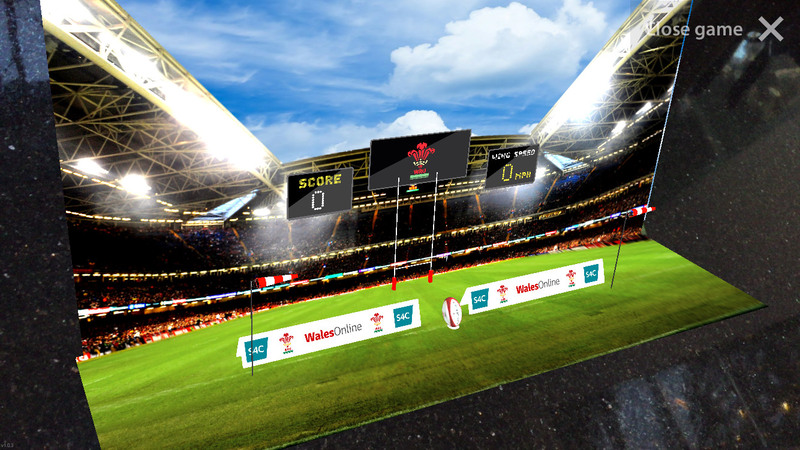 The objectives were to raise interest and drive user acquistion for Welsh rugby fans, by increasing engagement through a fun and innovative AR game experience. 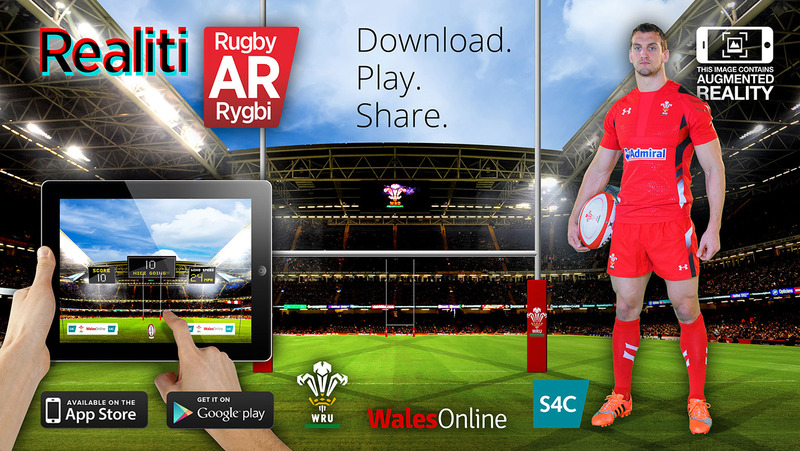 Users are encouraged to download the game for iOS and Android, through a press campaign. 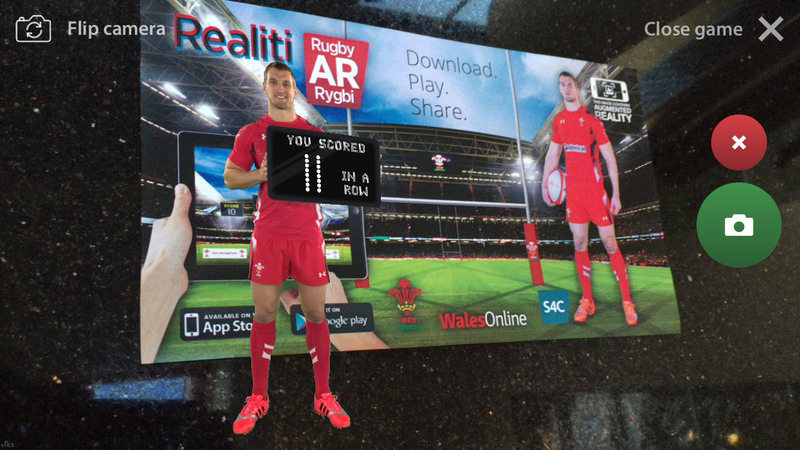 The press ad acts as an AR marker for users to scan, which triggers an intro sequence containing alpha video of the Welsh Rugby captain breaking out the printed ad, and then launches a swipe-to-kick conversion mini game. 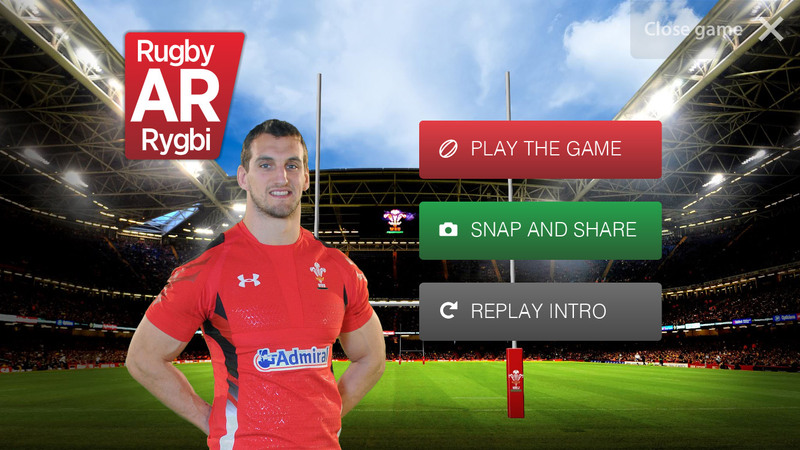 Users are then encouraged to share their high score and take selfie's with the Welsh captain through 'snap&share' social integration.